Super durable and sturdy! 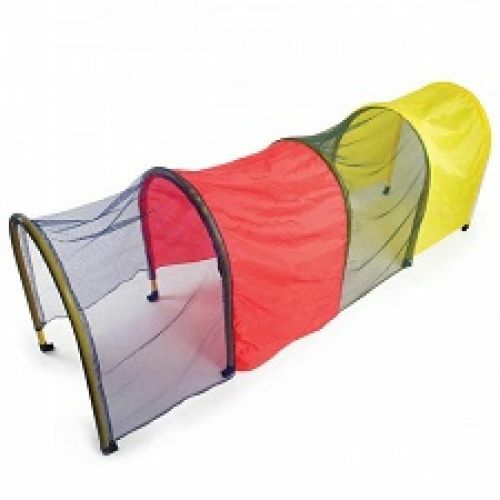 Each arc-shaped tunnel is made of four coloured panels, two solid colours and two mesh. Children can easily be seen, and can easily get in and out of the tunnel. Velcro at one end so multiple tunnels can be connected together. Each tunnel measures 95” L x 28” H.